Welcome to Notes From the Allotment. 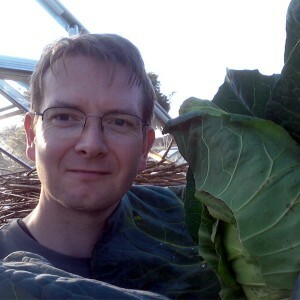 I’m Darren Turpin, a keen gardener, allotmenteer, orchardist and GYO enthusiast. I was bitten by the horticulture bug a few years ago and things have escalated from there. In 2016 I studied for and took exams in the RHS Level 2 Principles of Plant Growth, Propagation and Development qualification, passing with four commendation grades (“show-off!”) and followed that up in 2017 with the RHS Level 2 RHS Principles of Garden Planning, Establishment and Maintenance. Another four commendations later, I received my Level 2 Certificate in the Principles of Horticulture. I’m now studying for Level 3 – Principles of Plant Growth, Health and Applied Propagation, via the Royal Botanic Garden Edinburgh distance learning programme. In April 2017 I secured a part-time job as Assistant Gardener at Ordsall Hall and Gardens, working under Head Gardener Lindsay Berry, until her move to be Head Gardener at Haddon Hall, Derbyshire, in May last year. I then looked after the gardens with our team of dedicated and brilliant volunteers for a few months, before our new Head Gardener, Jo Green, joined us in December 2018. My main focus at Ordsall Hall is on the edibles (formerly the WWI allotment) section and the orchard, although I work across the site on whatever needs to be done. My wife, Jo, and I grow fruit, vegetables, herbs and flowers on Plot #59 of Langley Allotments in Prestwich, North Manchester. Last year we took on a second plot, Plot #79, which along with two other plot holders, we’ve turned into a 20-tree orchard. If you have any comments, questions or queries, please do feel free to leave a reply on any relevant blog post, or you can drop me a line or Tweet me @nftallotment and I’ll get back to you as soon as I can.